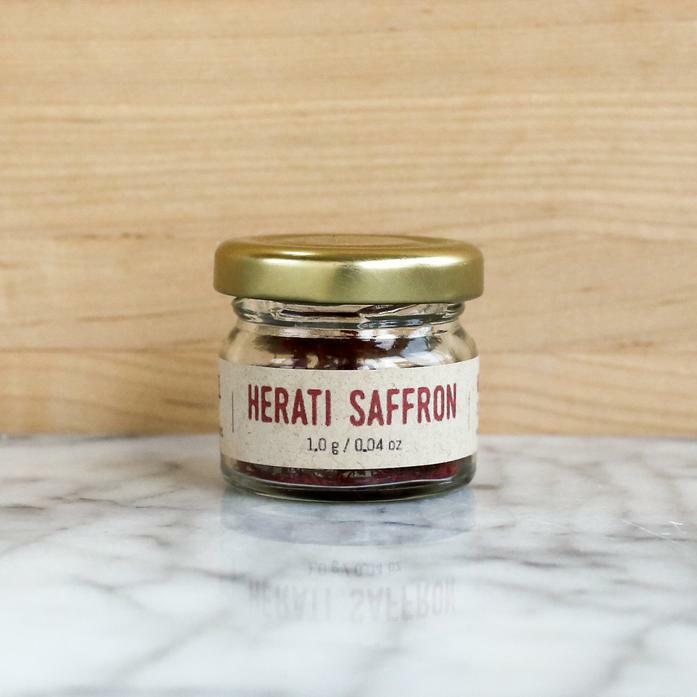 Saffron is a key element in cuisines from the Mediterranean to South Asia and is used in both sweet and savory preparations. It adds a distinctive floral flavor and golden color to fragrant rice dishes like paella, risotto and biryani, to frozen desserts like ice cream and kulfi as well as traditional teas. It is often paired with cardamom, pistachio and rosewater. Our saffron threads are pulled carefully from the flower, which leaves a characteristic flame-colored tail on each thread. That slight gradation in color is your assurance that our saffron is 100% pure and never dyed or otherwise adulterated. Each order contains a 0.5 gram jar.